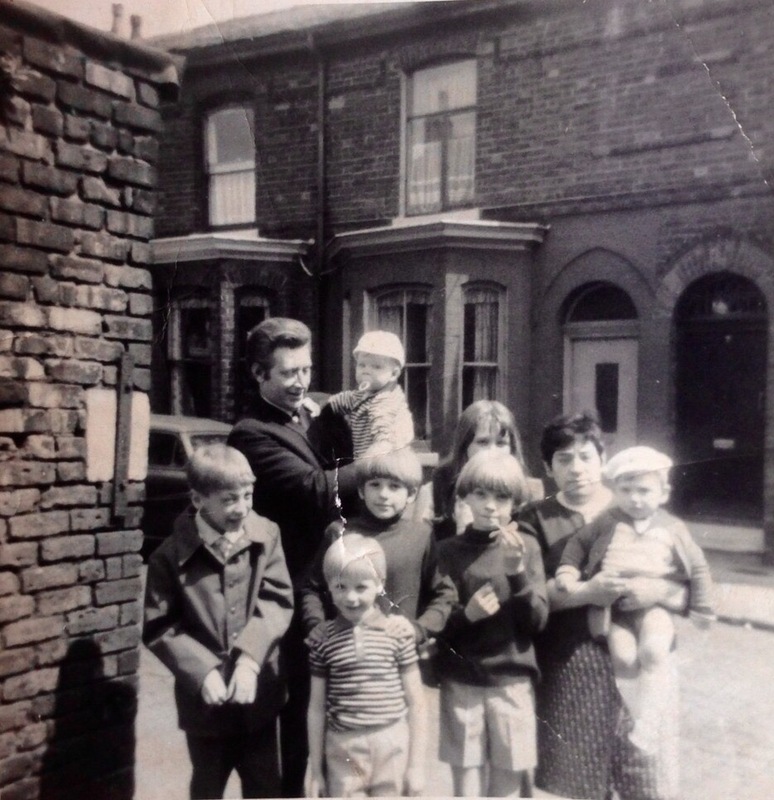 Paul Blain’s family lived on Napier Street, Ordsall until 1972, when the house was demolished, and the family moved to Sandiways on the new housing estate. 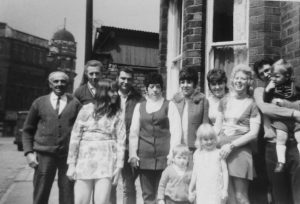 Photo of family group in 1970, from left to right – Steven Blain (brother) Louis Rotin, uncle, holding my cousin Michael Rotin, my cousins David and Peter Whitehouse, Robert Whitehouse (cousin), girl peeping is my sister, Lynn Blain, and myself (Paul Blain) in my Mums arms, Pauline Blain nee Rotin. From left to right Gregory Rotin (Grandad), then Louis Rotin and John Rotin (uncles), sister Lynn Blain, next to her is my Mam (Pauline Blain) then June Rotin, Elaine Rotin, Beryl Rotin, Lawrence Rotin holding my cousin Michael Rotin, me at the front (Paul Blain) holding hands with my cousin Nicola Rotin in 1971. 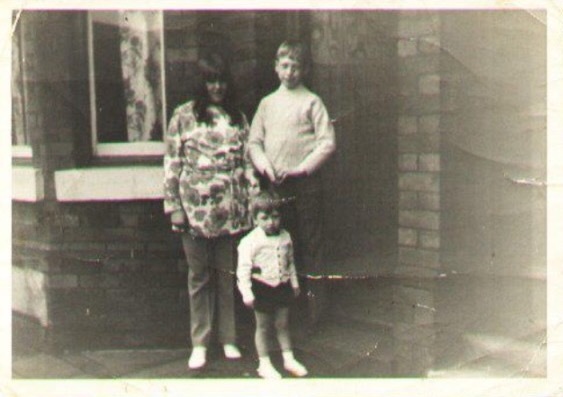 This one is 1972 my sister Lynn Blain, brother Steven Blain and me at the front, Paul Blain, just before we left for Sandiway in Ordsall as Napier St was demolished shortly afterwards.